We are sad to announce that long term Honorary Life Member Maisie Smith has passed away. Maisie was one of our founder members and performed with PBGS for over 20 years from our earliest shows in the 1970s to the late 1990s, along with her husband Peter, our first Stage Manager, and daughter Ruth. As well as performing on stage, Maisie helped with costumes and was always ready with a needle to save us from a frock disaster! Her gentle humour and kindness were much missed when she finally retired from the Society. 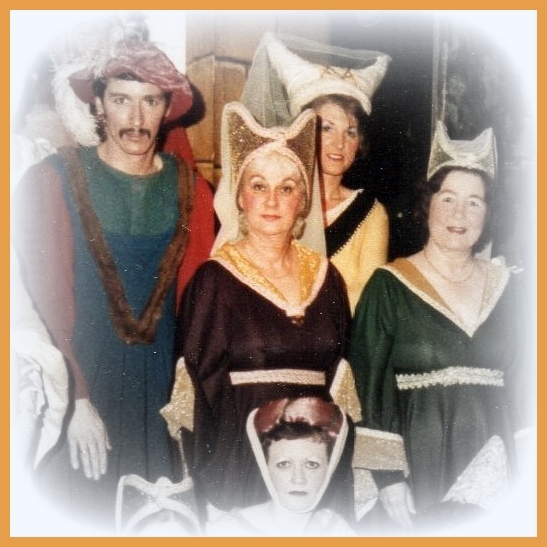 The photo above shows Maisie regally medieval in our 1984 Production of 'Princess Ida'. We send our condolences to her daughter Ruth and the family. Maisie's funeral is on Friday 16th June at 2pm at St Marks Church, Hitchin.